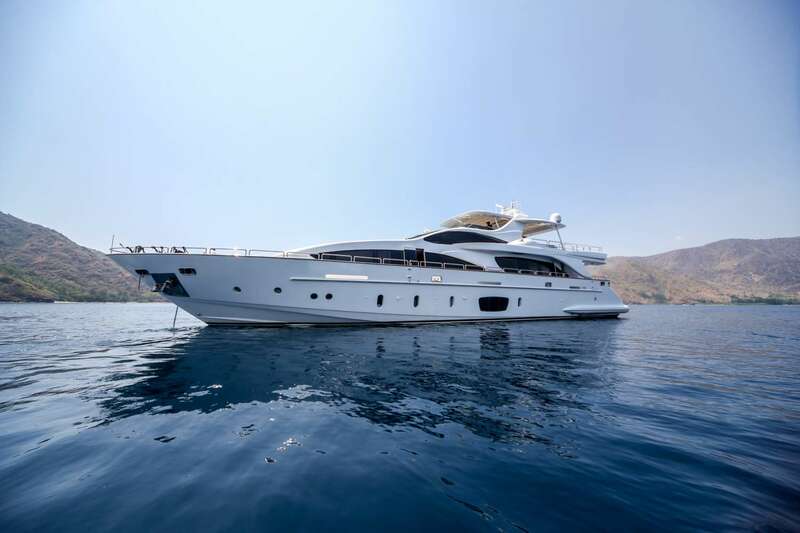 Motor yacht ANTONIA II is new for charter in the Philippines. 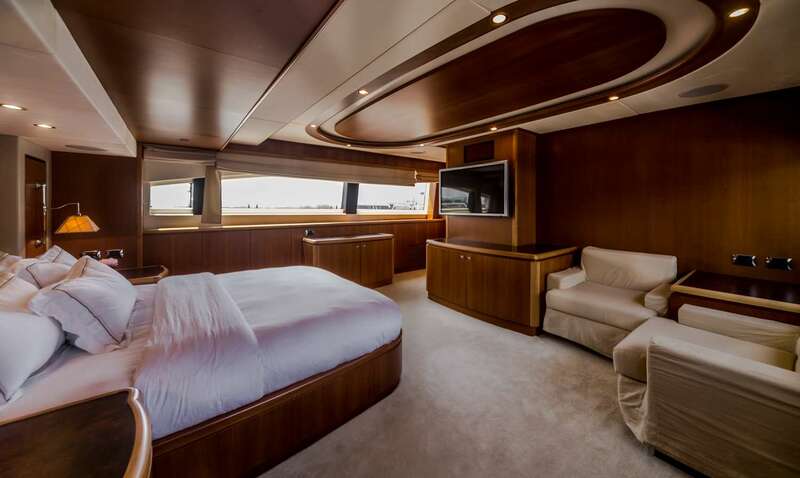 She is an immaculate, luxurious yacht with a captivating design, great interior volume and high quality finishes. 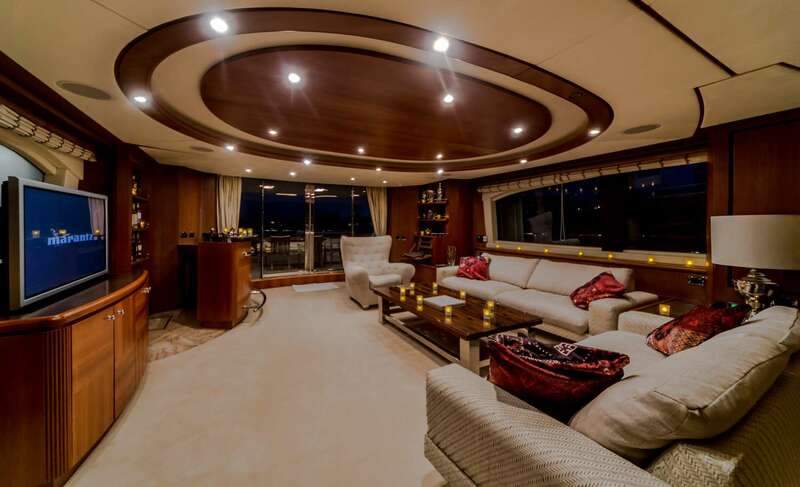 ANTONIA II offers complete privacy, comfort, ample living spaces and a sophisticated, elegant interior décor. The owner's suite, located forward on the main deck, can be accessed through a private foyer to starboard and it features spectacular woodwork, large windows for natural light and panoramic views, and electric blinds. 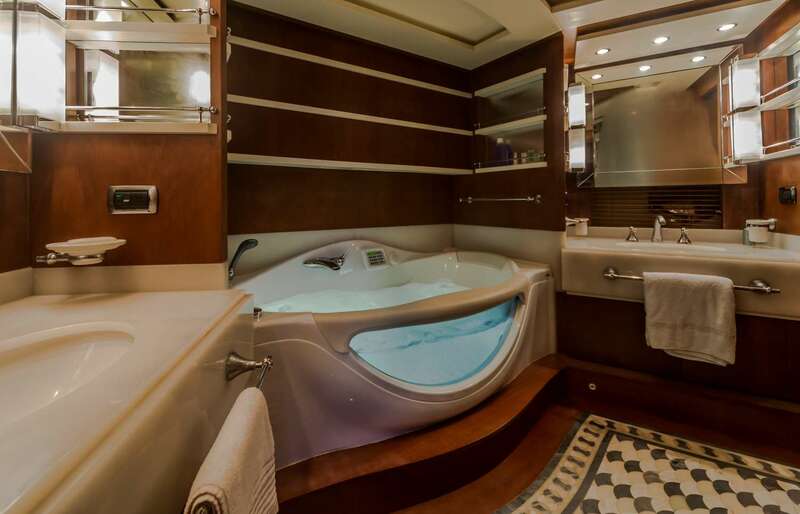 The en-suite bathroom has a Jacuzzi bathtub and a separate shower. A staircase leads down to the spacious, private head. 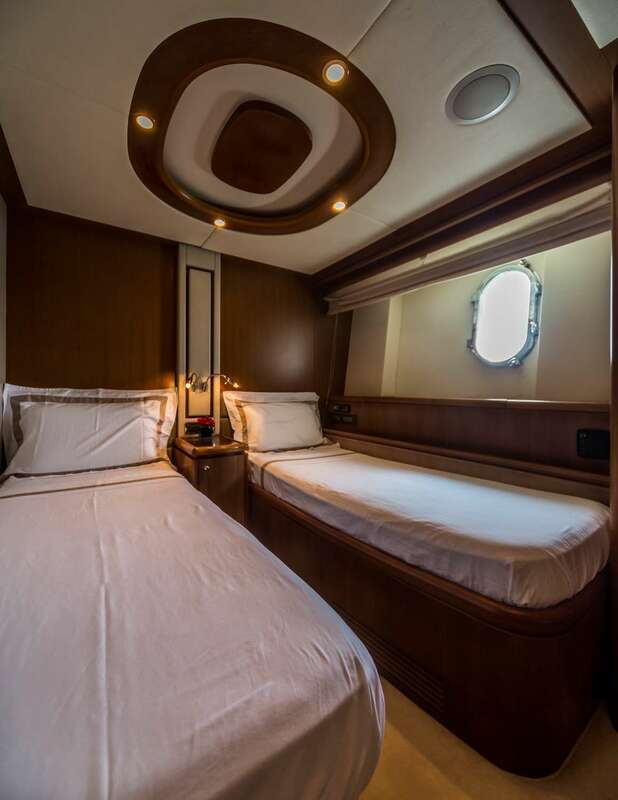 On the lower deck amidship are three elegant guest cabins. Two of the rooms have double beds and one room has twin beds. Large windows look out at water level for spectacular views. 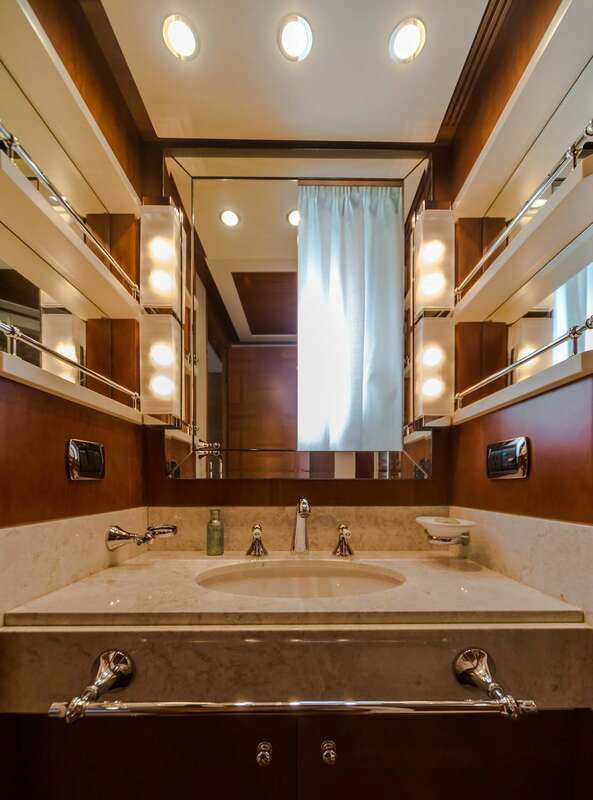 All guest cabins have beautiful en-suite bathrooms with teak showers and marble vanities. 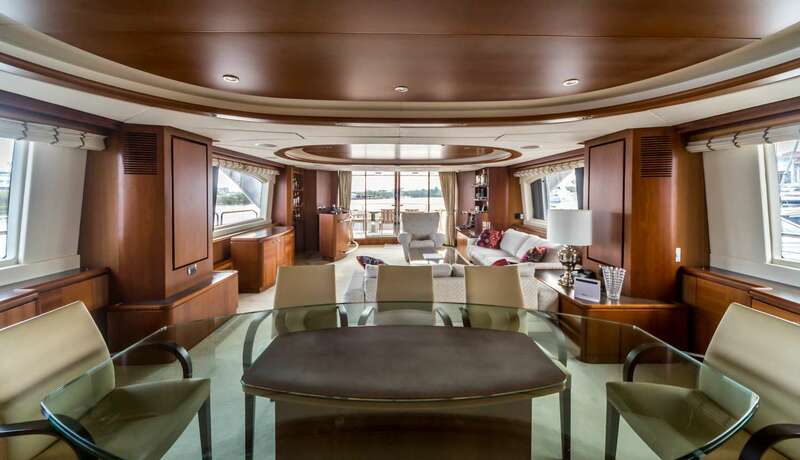 The spacious salon of ANTONIA II has great views that you can enjoy on board. The comfortable seating area is complemented with a large dining table with seating for 10 guests, a wet bar, and an excellent entertainment system including IPod, Blu-Ray player, 42” NEC TV and surround-sound stereo and speakers. 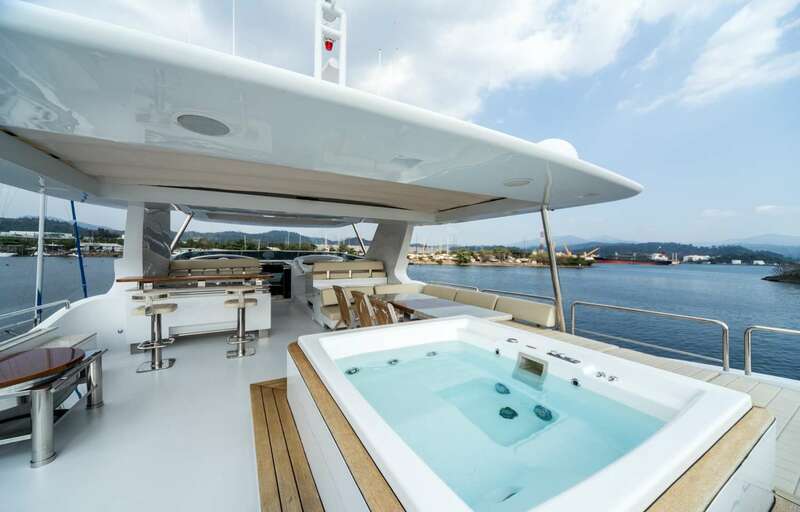 ANTONIA II offers a range of places, both inside and out on deck, where you can sunbathe, lounge and generally relax. 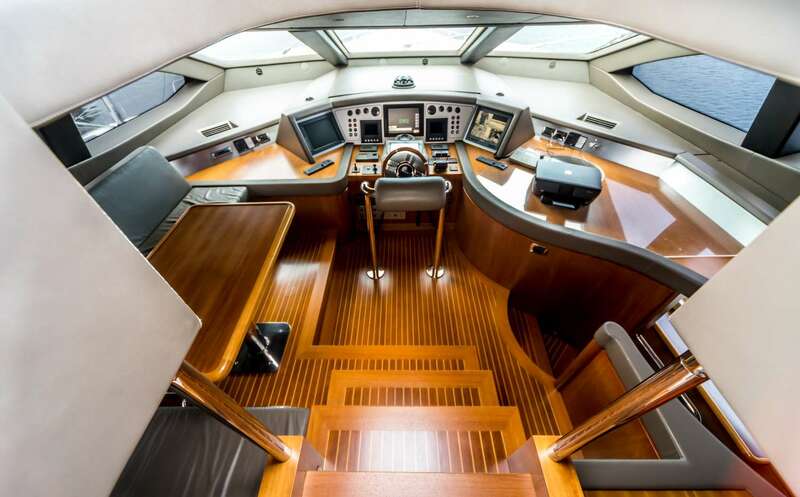 The Flybridge has a helm station with Furuno navigational equipment and features a Jacuzzi hot tub with teak surround, a teak shower, sun pads, a marble bar and dining area with seating for eight guests.